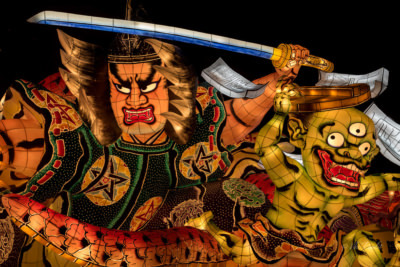 The Nebuta summer festival is a spectacular event held in Aomori Prefecture of Japan, where massive paper lantern floats based on kabuki or mythical stories, flanked by large taiko drums, musicians and dancers parade through the city. For those like me who missed the festival, the floats are kept back at the Museum to enjoy throughout the year. 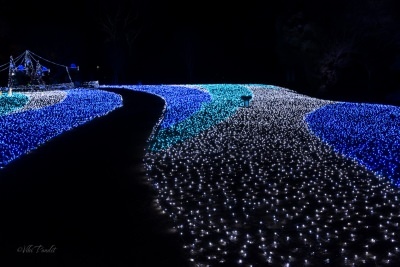 We go for late night stroll along a path shining with a sea of blue lights. 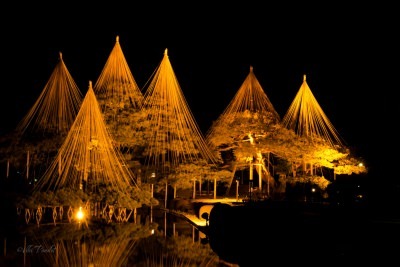 Nararurie referred to as Corridor of Happiness, is held in early spring in Nara. The Park is covered in a beautiful world of azure blue, ushering in happiness into everyone’s lives.